The infamous 749 Eastern Parkway dormitory. Inset Top: Yonah Shifren. Inset Bottom: Yossef Nachum. 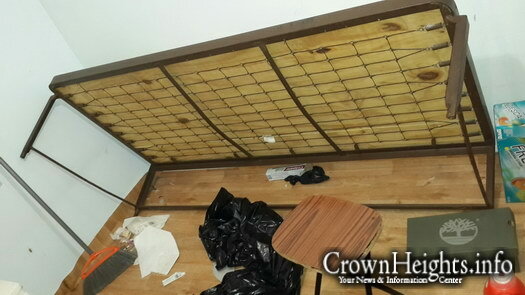 A ‘Kvutzeh’ student has become the victim of a terror campaign perpetrated by his fellow students in a bid to evict him from his dorm room in the infamous and lawless 749 Eastern Parkway dormitory. The terror campaign against him included a series of robberies, a brutal beat down, letters containing threats and rifle ammunition left on his pillow. Last week, Thursday, at 2:30pm, police executed an arrest warrant on Kingston Avenue, taking 22-year-old Yonah Shifren into custody on charges of assault and felony burglary. 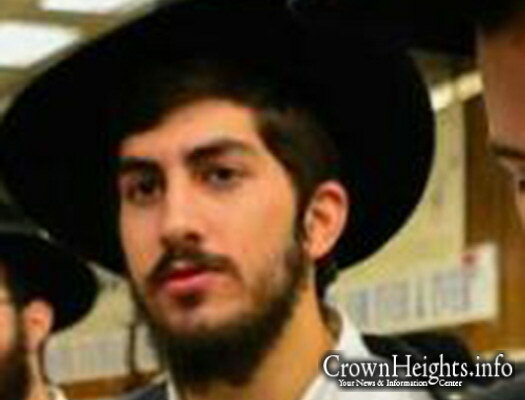 Shifren, a Los Angeles native and a resident of 749 Eastern Parkway, but not a student in Tomchei Temimim-770 (Kvutzeh), is alleged to have robbed and assaulted a fellow resident of the dormitory in an effort to intimidate him into vacating his room. According to an indictment filed in Brooklyn Criminal Court last week, Shifren is charged with robbery, felony burglary and assault for three different robberies he is alleged to have committed against the victim. 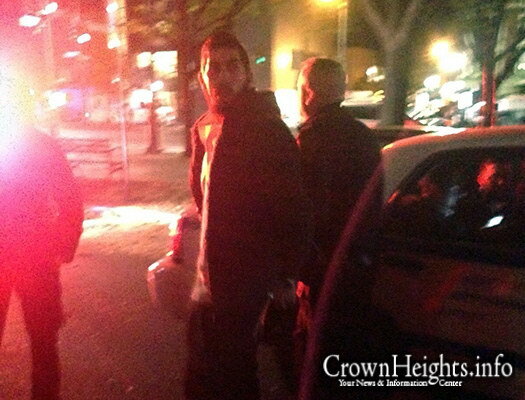 In one robbery, he, along with a group of others, allegedly stole the victim’s Tefillin. In a second robbery, they allegedly stole thousands of dollars in cash and valuables, and then beat up the victim. In a third and final robbery, they allegedly stole the victim’s clothing, as well as additional items of value. In an attempt to scare him further, the perpetrators left behind a bullet on the victim’s pillow following the final robbery. Upon discovering the bullet, the victim fell into shock and required medical treatment. A number of those incidents were captured on surveillance video, which identified Shifren as one of the suspects, along with a group of others who have not been apprehended as of yet. Later Thursday night, in an apparent act of retaliation, a group of over 10 friends of Shifren ambushed the victim in the first floor hallway of the dormitory. While preparing for bed, the victim made his way to the dorm bathrooms to brush his teeth; upon returning to his room, he was attacked by the group – a number of whom were wearing ski masks – who attempted to cover his eyes and mouth with a towel while they beat him with metal sticks. “We should kill you because you are a snitch, you went to the cops and put someone in jail,” the mob shouted while beating him, according to the complaint. In fear for his life, the victim screamed as loud as he could – so loud in fact that a neighbor living a few houses away thought someone had gotten hurt and called Hatzalah. The sounds of the sirens scared the assailants off and the victim fled from the dorm building – after suffering major injuries and a possibly broken hand as result of the beating. The mob also stole the victim’s cell phone and wallet, along with what little possessions remained in his room. Later that night, the victim called 911 from the safety of a friend’s home. Officers responded and took a statement from the victim. Upon hearing the horrific details of the assault, officers took the victim back to the dorm in the hope of apprehending those involved. 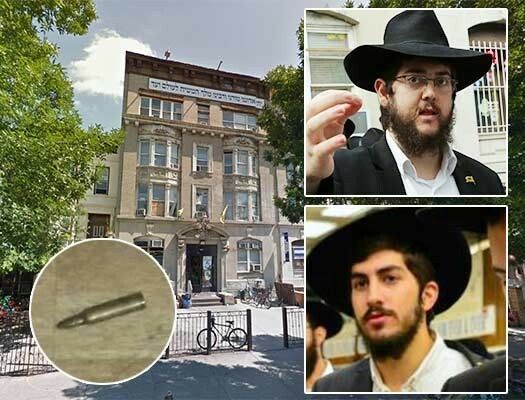 While in front of 749 Eastern Parkway, the victim spotted one of the main suspects, 21-year-old Yossef Nachum, walking by and pointed him out to police. He was promptly taken into custody and charged with felony robbery, burglary and assault. Nachum, an Israeli native, was due to begin the school year as a student in Kvutzeh, but his visa was revoked by the administration and he was kicked out of Yeshiva after he attacked Rabbi Chaim Boruch Halberstam on Kingston Avenue. Both Shifren and Nachum were arraigned in criminal court last Friday. Shifren was released on $1,500 bail, while Nachum was released on his own recognizance. Representing the duo was the lawyer Paul (Levi) Huebner, who was observed returning to Crown Heights at 11:00pm on Friday night in his car and dropping the two off in front of 770. Together they went into the Shul, where they began dancing “Didan Notzach” and were joined by a group of their friends. Once released, Nachum wasted no time in booking a return ticket to Israel, and on Monday he boarded the flight and fled the country rather than face the charges in New York. 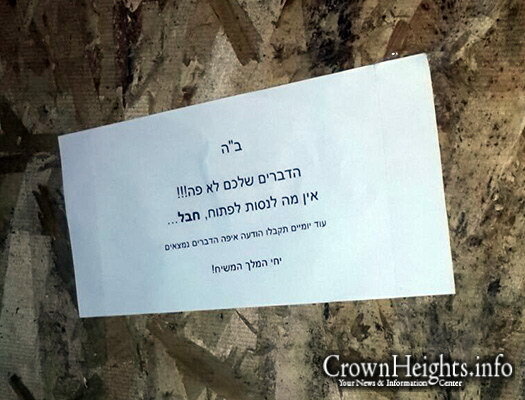 Before reaching out to the police, the victim approached members of the Yeshiva administration and asked for help. He was turned away after they said that they have no control over ‘749.’ He then approached Rabbi Avrohom Osdoba, and after telling him the story, he wrote a letter in support of him filing complaints with the police. “The matter here is simple; not only is it permissible, but he is required to file a complaint with the police in order to prevent damage and danger in the future, and perhaps this way end it once and for all,” wrote Rabbi Osdoba. Sources tell CrownHeights.info that the district attorney and police are seeking a number of additional people who were believed to be involved in the robberies and the assaults. 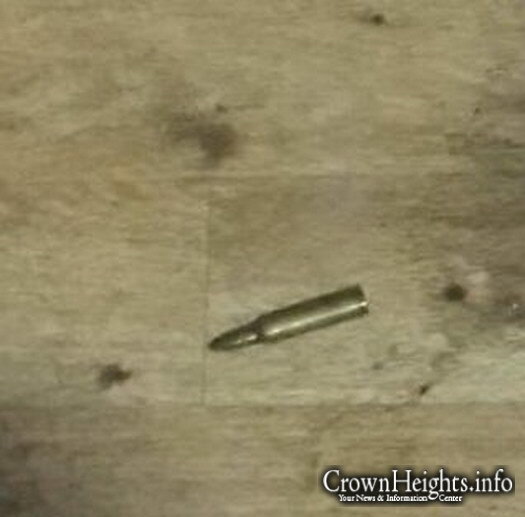 The bullet left behind after one of the robberies. 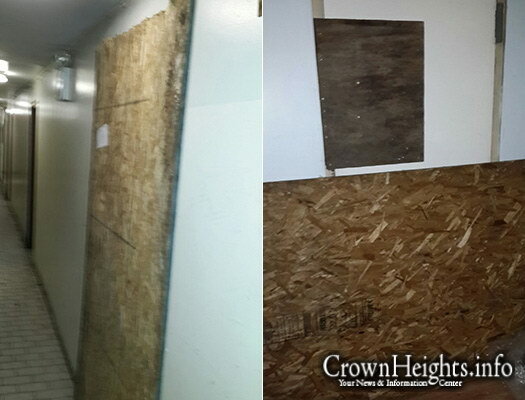 After one of the robberies, the room was boarded shut in an attempt to keep the victim out of his room. Yonah Shifren being taken into custody on October 15th, 2015. 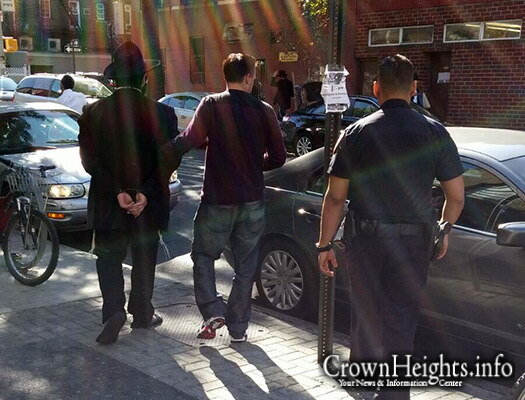 Yossef Nachum being taken into custody on October 16th, 2015. 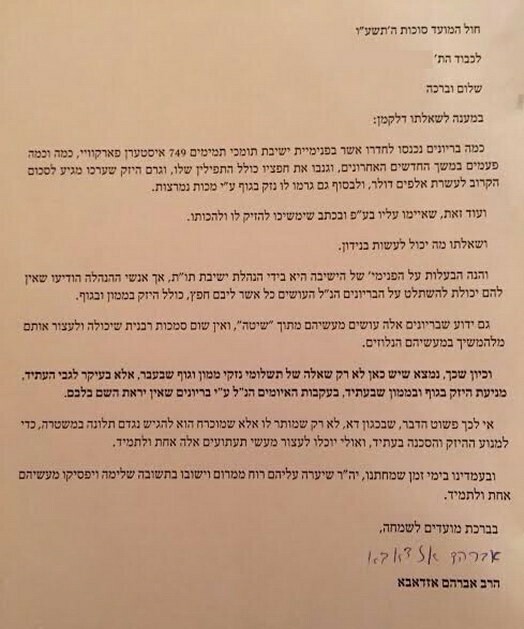 This entry was posted on October 25, 2015 at 12:34 am and is filed under In The News, Mishichistim Mossrim. You can follow any responses to this entry through the RSS 2.0 feed. You can leave a response, or trackback from your own site. When does the Mosser Paul (Levi) Huebner help the vicitims and when does he help the aggressor? When Huebner, Poltrok and the rest of the cartel went after Shomrim (in the shomrim six blood libel), they did so claiming that Shomrim were aggressors and therefore needed to be locked away in a violent prison for 15 years. They (this is what they falsly claimed) were “saving” the poor “victim” Meshichist students etc…. What about here, clearly the meshichistim are the aggressor and the other the victim, yet Huebner and Co. are helping the aggressors? No lawyer with an agenda here!!! 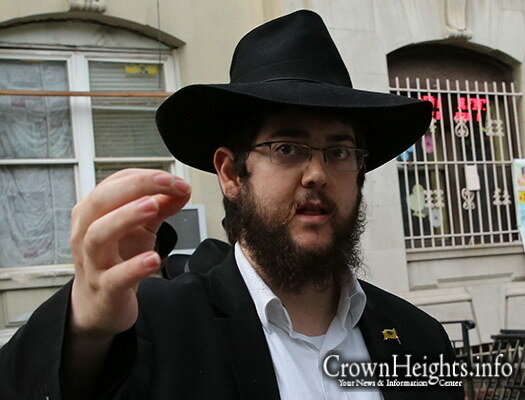 Huebner and all those who orchestrated the Shomrim six blood libel, STILL have hot blood on their hands. We will never forget!!! We will never forgive!! !